Several years ago, while still in high school, Henry Damulira was on a ministry outreach from his home church, Seguku Worship Centre, about 10 miles south of central Kampala, Uganda. At the time Damulira was preaching the gospel and teaching English and math at the school in the Mukono district. Connecting fishermen to the banks was important, says Damulira, because their stone system not only left their money vulnerable to theft, but also made their cash too convenient to retrieve. They could access their money on a whim, and they often did, squandering it on frivolous purchases. “This left them in a cycle of poverty,” notes Damulira. From his own experience, Damulira knew how easily savings goals could be hijacked by undisciplined habits. “As a teenager,” he says, “I had bought a piggy bank in which I saved my earnings from fetching water. At the time, my goal had been to save and buy a bicycle to ease my work and triple my daily income.” Instead of saving his money, however, he spent it on baseball caps. 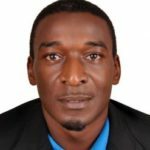 Damulira’s passion to support wealth creation among rural Ugandans led him to provide a secure digital platform that links up mobile phones to Airsave Saving and Credit Cooperative (Digital SACCO), in partnership with ECOBANK Uganda. Damulira’s innovation was unique because it did not require the smart phone platforms upon which so many apps rely. His start-up company, Airsave, enables registered members to save and borrow money using a simple cell phone in small communities that have no physical bank. Out of Uganda’s 40 million population, 90 percent are “unbanked” while 60 percent own mobile phones. Because the digital mobile saving platform can be accessed by 24 million with mobile phones, they can open up a digital account without having to step in a bank. Since its founding, over 3,000 people have signed up and lives have been changed through Damulira’s digital saving platform. Thanks to Henry Damulira, Uganda’s unbanked can now access banks from their phones. For his digital innovation, AirSave won second place at the 2016 Africa StartUp Cup and came fourth in the World contest. Seguku Worship Centre, Henry Damulira’s home church, is also where Steve Mayanja, well-known FCA minister with the World Outreach Ministry Foundation, is from. Damulira is son-in-law to Steven Kaweesa, a key leader in WOMF Uganda who was killed in a tragic car accident in 2016, which also took the lives of Ed Pohlreich and Scot Voltz. Much of the information in the story above was found here. 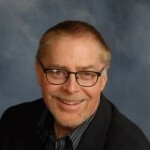 FCA Media Editor and fellowship elder in the Upper Midwest, Rich served for years as a pastor in Minnesota and Texas. He also was managing editor of Leadership (a journal for pastors), has written freelance articles and adult curriculum. As an associate editor, he developed and edited notes for the Quest Study Bible (Zondervan). He currently lives in St. Paul, Minnesota, with Sharon, his wife of 43 years.